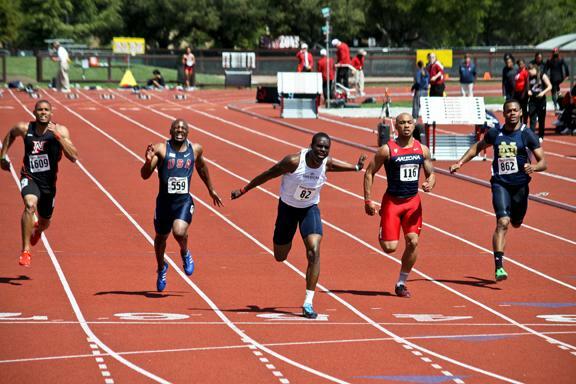 American River College standout sprinter Diondre Batson won the 100 and 200- meter events at the Stanford Invitational. The meet was on the first weekend in April on the 6th and 7th. 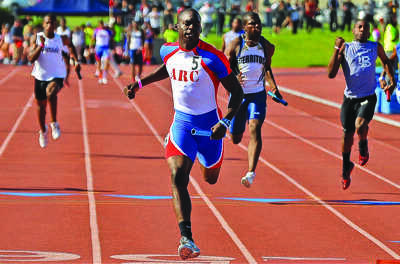 Batson again beat the competition “handily” by two tenths of a second in the 100 and broke his own school record with a time of 10.27, a record Anderson thinks, ”Will be broken several times again this year.” With that time Batson hit the Olympic “B” Standard, which makes him eligible to compete in the Olympic Trials in June. The top competition is part of the reason why Batson was able to get into the 10.2 times, times he told me back in March he would be able to reach. Easing up at the end of the race seemed to be no issue for Batson as the competition really motivated him. Be the first to comment on "ARC track star qualifies for Olympic Trials"